The latest iteration of the F-35’s IT backbone enables holistic maintenance and predictive resource planning. It takes more than steel, advanced electronics and engine thrust to make the F-35 the world’s greatest stealth fighter – it requires a comprehensive sustainment system that’s a lynchpin for readiness. The Autonomic Logistics Information System (ALIS) is the IT backbone for the F-35, enablin across the U.S. and allied military services to sustain the fleet. 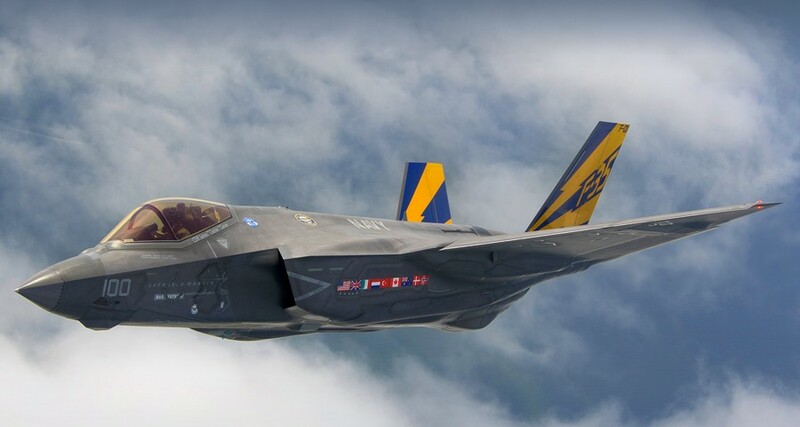 Composed of more than 9 million lines of code, ALIS is now delivering resource management and networking capabilities that were conceptualized long ago – allowing warfighters across the global fleet to maintain the F-35 tip-to-tail while fully modernizing the logistics process. Pilots plan and debrief missions, and sustainment professionals maintain the F-35 using ALIS. Providing an integrated interface to maintenance, supply chain and sustainment information, ALIS is the single management tool supporting all F-35 operations. ALIS integrates a broad range of capabilities including operations, maintenance, prognostics, supply chain, support services, training and technical data. ALIS is a secure information environment for the F-35, transmitting aircraft health and maintenance information to the warfighter, enabling warfighters to make strategic decisions to keep the fleet healthy. The F-35 is the first tactical aviation system to have sustainment tools engineered in concert with the aircraft for efficiency and cost effectiveness. Initially fielded in 2009, ALIS is maturing alongside the F-35 aircraft. ALIS 2.0.1 included a deployable hardware suite to support operations on carriers, amphibious craft and at austere locations. ALIS 2.0.1 supported the U.S. Marine Corps Initial Operating Capability in summer 2015. Understanding that the F-35 could be subject to hostile cyber environment, the F-35 Joint Program Office has a robustly resourced and recurring cyber testing activities across all spectrums of the program including air vehicle, training systems, mission software, reprogramming laboratories and logistics support systems. Throughout the F-35’s development, the program has supported more than 2,000 cyber tests to safeguard against the continually evolving cyber threat. The latest version of ALIS – version 2.0.2 – will soon be fielded at all F-35 sites. ALIS 2.0.2 integrates propulsion data for the Pratt & Whitney F135 engine, which was previously accessible only through a separate system. This critical advancement will eliminate the need for multiple maintenance systems and contracted field service representatives to assist with engine diagnostics, analysis and maintenance. ALIS 2.0.2 also enables authorized users to tag assets like support equipment, tools and spares, facilitating the efficient collection and delivery of information to manage the logistics tail. ALIS simplifies the creation of deployment packages by determining what equipment F-35 squadrons take with them to operate away from their home bases. The system harnesses big data — linking supply chain and lifecycle management information with electronic planning tools to enable warfighters to better forecast part requirements and boost aircraft availability. While ALIS 2.0.2 is currently in the field, Lockheed Martin is nearing completion on ALIS 3.0, the final software release to close out the System Design and Demonstration phase of the F-35 program. After the delivery of 3.0, the F-35 Joint Program Office and industry teams will continue to make system improvements to ALIS and deliver increased capability to the warfighter.